Kohlrabi?? Here’s a quick and easy recipe to have in mind before you start staring quizzically at the purple Sputnik satellites in your share box this week. 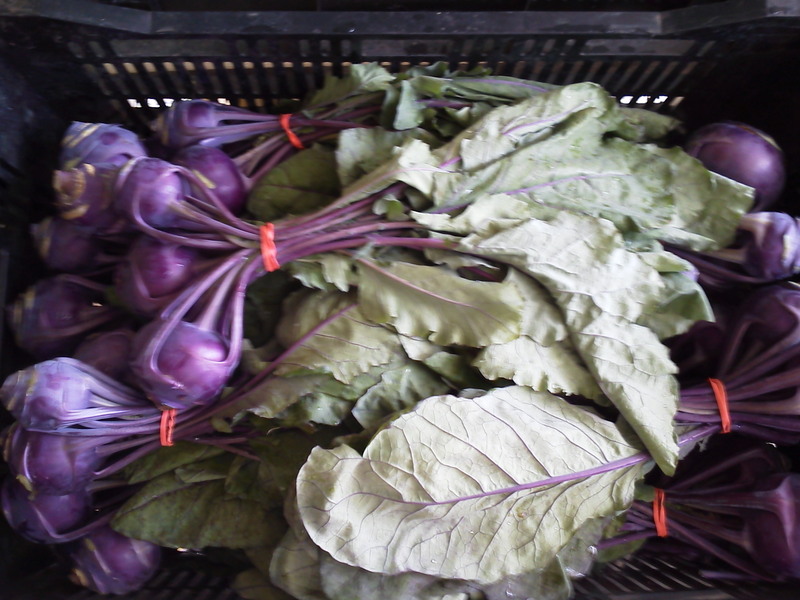 Cut the kohlrabi into 1/4 inch thick slices, then cut each of the slices in half. Combine olive oil, garlic, salt and pepper in a large bowl. Toss kohlrabi slices and diced carrots in the olive oil mixture to coat. Spread kohlrabi, and carrots in a single layer on a baking sheet.